Sir Alastair Cook has warned his Essex teammates not to become distracted by the prospect of an England call-up in time for the Ashes. Tom Westley, Dan Lawrence and Jamie Porter are all possible contenders for a Test berth in 2019 having impressed for the Chelmsford county. But the trio all flattered to deceive as they fell to an innings defeat to Hampshire in the opening round of County Championship matches. 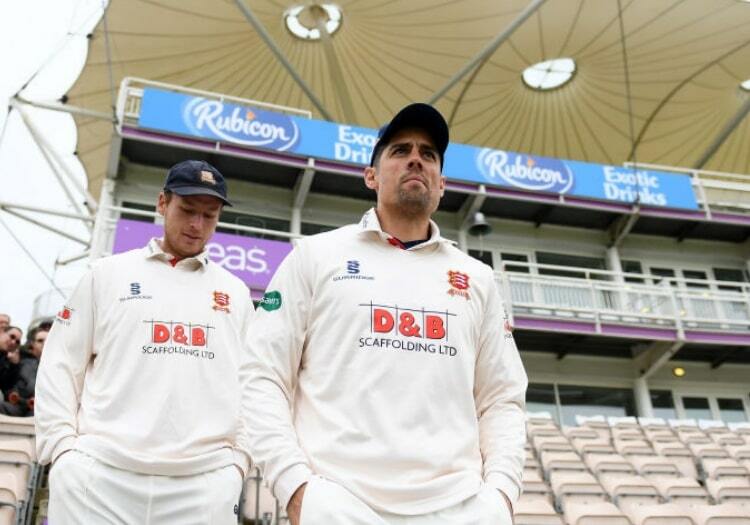 Having retired from international cricket, Cook will act as an experienced figure in the Essex dressing room for at least the next two seasons. And the newly-knighted 34-year-old has some sound advice for any players already banking on England recognition. "The biggest thing is to not ever look too far ahead," Cook told Sky Sports. "The problem is when your name gets pushed into the selection round and people start talking about you for England, you can quickly get distracted. "For a lot of players their form actually dips when they get spoken about as a potential candidate, they suddenly have a couple of bad games. "For the guys who are pushing for international cricket, it has got to be at the back of their minds. "It has got to drive them to do extra training and work incredibly hard, harder than the guy next to them, but when they are playing for Essex they have got to score the runs and take the wickets for the team. "They need to concentrate on the game they are playing because that is the most important thing and everything else tends to take care of itself."